I haven't been to Z's Saturday French class until today, since I was in NH for the first session and at a board retreat for the second. Thankfully the school designates a parents' room with wi-fi so that I can update the blog and send angry tweets while Z is in class. We finally made it onto the Anacostia - but it rained and our cruise was cut short. 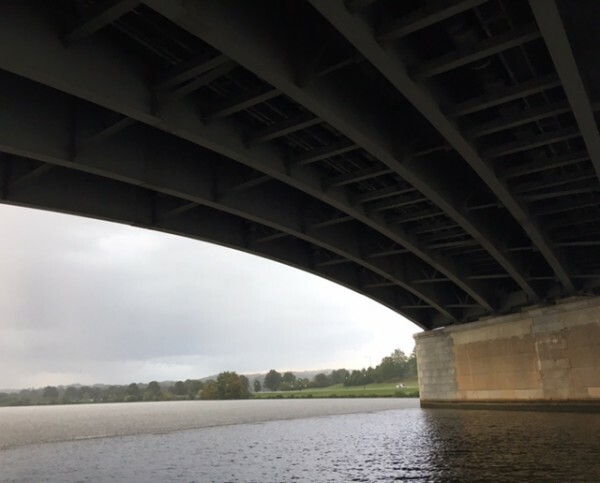 But the rain was pretty, with different patterns under the bridge. 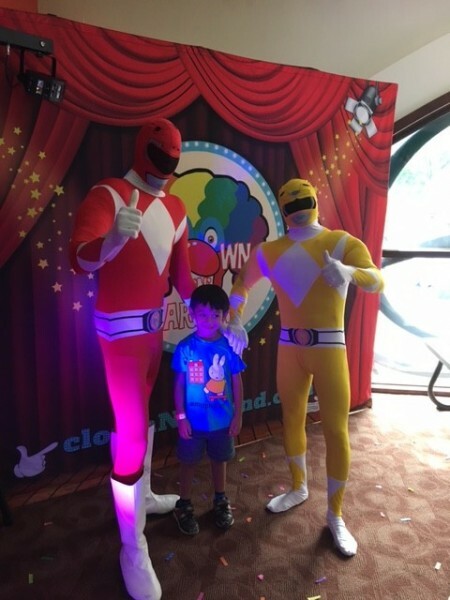 Z attended a birthday party with the Power Rangers. We learned about anger management with Pufferfish Pat. 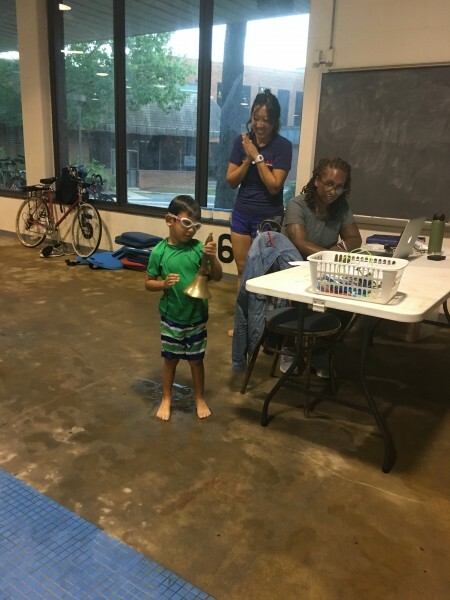 Z was promoted to the next level in swim class and got to ring the bell. He was THRILLED. The rain from under the bridge is amazing looking! Great pic! Thanks! It was worth the cold and wet!